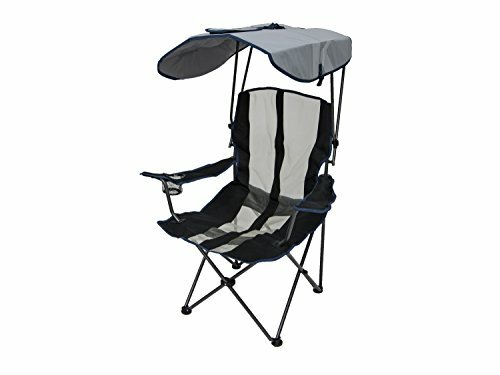 What Makes a Great Camping Chair? Comfort, style, size, weight capacity, and price. 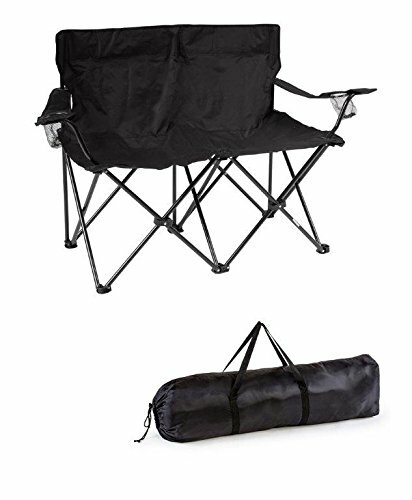 All of these are important and finding the right balance between them is what can make picking the right camping chair difficult sometimes. Think about which are more important to you and which you value more. Oh, and then there are a lot of other cool extras you can get like drink coolers, double chairs, and umbrellas. These two are just as important as each other but they also tend to increase with each other. So as your chair gets bigger it also gets heavier. Pick the right balance for you. Do you mind carrying a bit more weight for more comfort? Or would you rather carry something lighter and easier but it is a bit smaller? The whole point of having one of these is to be comfortable, so you can relax and enjoy each time to the fullest. Read reviews, listen to others opinions and don’t get some random, unbranded one you know nothing about. This is the best and only real way to make sure you get one that’s comfy. Ask yourself, are you going to be carrying it in a car or in your arms? This makes a big difference. If you’ll be carrying it on foot then it’s important it’s not heavy to carry or so bulky that it just gets in the way. Chairs are notorious for breaking apart after a couple uses or if someone a bit big sits on them. 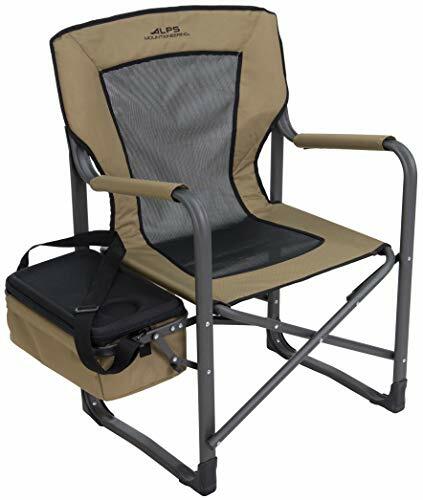 If you’re a big guy or girl it’s worth checking out our other article on Camping chairs for big guys. The ones on my list are all damn durable, I hate things that don’t last. They’re a waste of money and bad for the environment. Check the weight capacity as a sign to see just how much it can hold. You don’t want a chair which is going to stress you out or take an age to set up when you get to your spot. I’ve made sure all the ones on my list are quick and easy to get setup, so there’s no need to faff around. A table can be nice to have so you can have your bits and bobs laid out on there and ready to use. More important though is a cup holder, your cup can fall off a table but it’s pretty secure if it’s fitted into your chair. When you’re sat down and relaxing you need a safe place for your drink. Cup holders are pretty essential and any camp chair worth its salt with having one. These are really cool and are just starting to be integrated into some chairs. What’s more perfect than a nice cold beverage and being able to get it without even standing up. If you’re sensitive to the sun or just like staying cool then getting a chair with a parasol built onto it is pretty damn ideal. You’ll never need to search for a shady spot again. Fold down and collapsible chairs are becoming really popular recently just because of how much more compact and portable they make them. Definitely, a handy feature to have. You want something that expresses who you are. Being able to pick your favorite color or design just adds that extra level of personalization. Made to look good and built to last this is a cracking combination of stylishness and functionality. What makes it really special is the canopy that folds down so you have shade and protection from the sun no matter where you are. The attached umbrella is really cool. It has inbuilt UV protection that protects you against the sun rays and can be raised or lowered quick and easily. The umbrella then folds down and snaps together to form a carry case for the chair. When it’s all folded up it’s really easy to carry with the shoulder strap and doesn’t come undone or flap around like some other chairs do. The seat itself is super comfortable. It’s nice and large so you have some extra room to stretch out in and the front edge is rounded for even more comfort. If you want a properly comfy chair so you can relax in the sun, but you also like to have the option of shade sometimes, then this is the one for you. An extremely well built, high quality, modern chair. There is a decently sized cup holder in the armrest which fits beer cans, mugs and flasks well. The frame is constructed out of powder-coated steel, incredibly sturdy it can support up to 250 pounds of weight. The seat is made from a breathable ergonomic mesh, so you never get a sweaty bum. Comes in a blue or black color. Costs less than 50 bucks, which is pretty great. This guy’s one of my favorites. He’s hella comfy, has storage attached and is built to last a good long time. Oh and he’s cheap as chips. The cooler is a really nice addition that this guy has. You can easily fit 4 cans into it and it’ll keep them refreshingly cool and right at reach. It also has a mesh cup holder so your open brew is nice and close and a nifty little side pocket to stash any other bits you want at hands reach away. Designed to be comfortable the entire seat is covered in cushions and is a roomy 24 inches in size. It’s ergonomic design also means that your back gets great support and isn’t left feeling stressed at all. If you like relaxing with a nice brew, and like your brews cold, then this is the chair for you. Built for convenience and comfort, once you sit down you’ll never want to get back up. It collapses down in on itself, making it compact and easy to transport or store. Made of steel, it’s structure is properly solid. This guy won’t break on you, it can hold 325 pounds with no problems at all. Costing less than 20 bucks it’s a true bargain. For the pinnacle of relaxation and comfort, you really can beat this fella. Camping chairs have never been so comfortable. The cooler it has is a really decent size and it also works as a little side table with a cup holder attached to it which is cool. Oh, and it’s got a cool extra side pouch to store your stuff in. Constructed with 600D Polyester fabric and a TechMesh design, it’s incredibly comfortable and very breathable so you won’t be getting all sweaty. This is for those that want the best of the best and don’t mind paying a bit extra for it. It’s almost 80 bucks so it’s not cheap, but it is damn comfortable, and if you treat it right, it should last you a lifetime. Built with a steel frame that’s been coated with pro-tech powder you’re not going to find a camping chair stronger than this one. It’s really been built to last, it can handle up to 425 pounds in weight and just feels super secure and stable. Weighing 16 pounds it’s not light. Fortunately, though, it takes less than a minute to fold flat and it’s then super easy to store or transport. 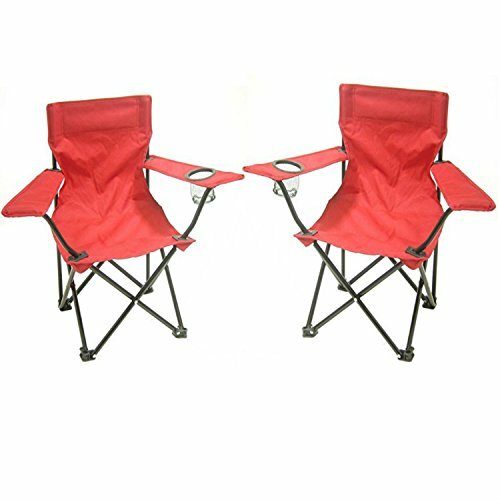 This is a super cute double camp chair that is made for two adults to sit in at the same time. What’s better than hugging next to your partner or sitting next to your best friend? Right here is a really cool idea that’s been executed brilliantly. Just how crazily unique it is! How often do you see a chair this cute, that is literally designed to snuggle up in? You can’t help but want one of these when they’re so damn adorable. Designed for comfort and support the polyester material is super springy and nice to sit on. Anyone who wants to go on an outdoor adventure with their partner and get snuggled up to them will love this. Sit down, relax, look up at the stars and just enjoy. The easy setup and pack down is great. Folds easily for compact storage. The steel frame can hold 440 pounds, so won’t break even with the both of you on there. It’s pretty cheap considering it’s two chairs in one. It costs less than 50 bucks. How crazy comfy it is! The backrest and headrest both mold to your bodies shape, so you properly melt into your seat. This combined with the seat which is super soft and breathable means you can relax beautifully all day without getting sweaty or sore. This is probably the most sturdy of all the ones on my list. It’s made from 15mm aircraft grade aluminum steel, which makes it really lightweight (it weighs less than 4 pounds) while still being able to hold over 300 pounds of weight. If you want to buy something that you’ll have for the rest of your life then this is a damn good choice. This guy ain’t breaking any time soon. Folds down to be really compact so it’s easy to carry around or store. There are 4 different colors to choose from. It costs less than 60 bucks. Good looking and designed by geniuses, this guy is perfect for anyone with a bad back. We even wrote a whole article on chairs for a bad back. The backrest is specially designed with a patented ‘strongback’ support system so that your back gets the most support possible. This encourages you to keep a healthy posture and allows you to sit for hours comfortably without experiencing any pain. Folds up super easily and becomes surprisingly compact. Made with a black powdered steel frame it’s super durable and can hold up to 300 pounds of weight. If your back often causes you pain when you’re sitting down or you just really love your comfort then this is worth giving a try. The support it gives makes you feel secure and relaxed. It has two drinks holders built into the armrest. A nice little bag comes with it to carry it around with. With 3 different colors to choose from you can get the one that really makes you feel that outdoor spirit. Made of heavy-duty polyester 600D fabric that’s comfy and lasts for ages without wearing away. Costing less than 80 bucks, which is actually pretty cheap for such an ergonomically designed chair. A great set of two chairs made to last through an entire childhood. These are built to stand up against kids antics without breaking apart. 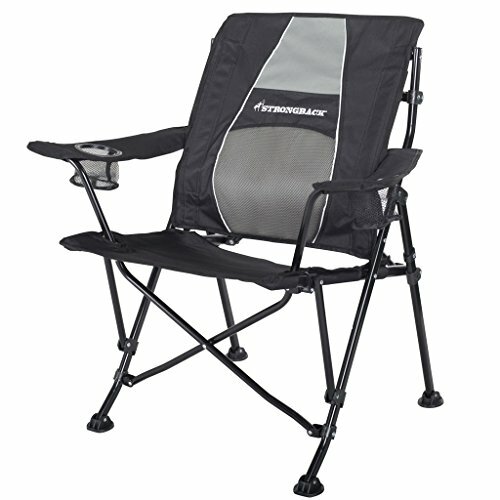 Much more durable than other camping chairs, these are a great choice for kids. Just how cute this little pair is! They’re adorable, and with two little ones inside them, they’ll look even cuter. With a weight capacity of 160 pounds, they can fit any child safely wi5 no worries of them breaking apart. Each chair has a cup holder on the size, perfect to fit juice or milk in. If you’ve got two little ones and want them to be comfortable on camping trips with premium gear, this is a great set. With a durable build, they’ll survive any kid antics and they look great too. Comes with a carry bag so they’re easy to carry around with you. There’s a selection of three different colors to choose from, so you can pick one which you know your kid will love. Costs less than 50 bucks for the pair. Crazy cheap when you consider you’re getting two! Which one is the best for music festivals? 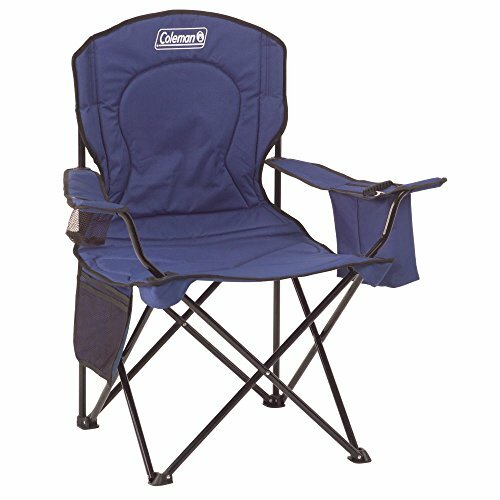 It has to be the Coleman Oversized Quad Chair with Cooler. You’ve got a cooler to store your beers in, it’s super comfy and you can proper stretch out in it. On top of that it’s not too expensive so if anything does happen to it, it’s not the end of the world. 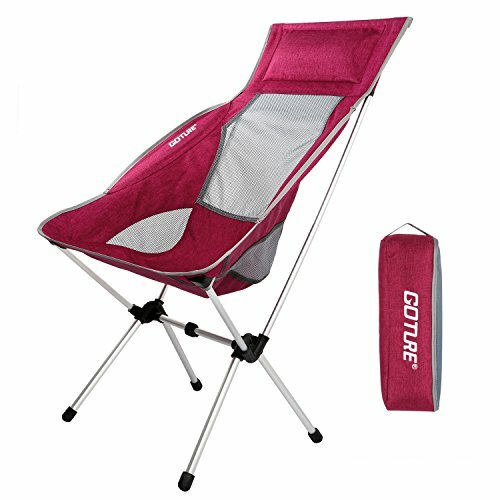 Without a doubt, I would have to say it’s the Goture Ultralight Portable Backpacking Camping Chairs. These guys are a dream to sit in. They actually feel like they’re caressing your body as your sat in there, it’s a dream. Does any of these chairs have a rain cover? Yes! The Kelsyus Original Canopy Chair comes with a rain cover inbuilt! Just pull down the umbrella and you’ll be nice and protected. Can you play guitar in it? Yes, you can! And what better way is there to spend an afternoon than kicking back outside in a comfy chair and playing some sweet tunes. No, none of these have a footrest as they tend to add a disproportionate amount of weight and price to chairs. Yes, all of these chairs are waterproof. Just make sure not to store them while they’re wet, leave them out in the sun and dry them out first or they’ll go moldy. They’re nice and easy to wash, just rub down with some hot water and soap. Then rinse with some cold water. None of these come with a warranty, but all of the ones on my list are from incredibly reputable brands and have great reviews. If you go with one of the ones on here, they’ll definitely do you well for your outdoor gear.